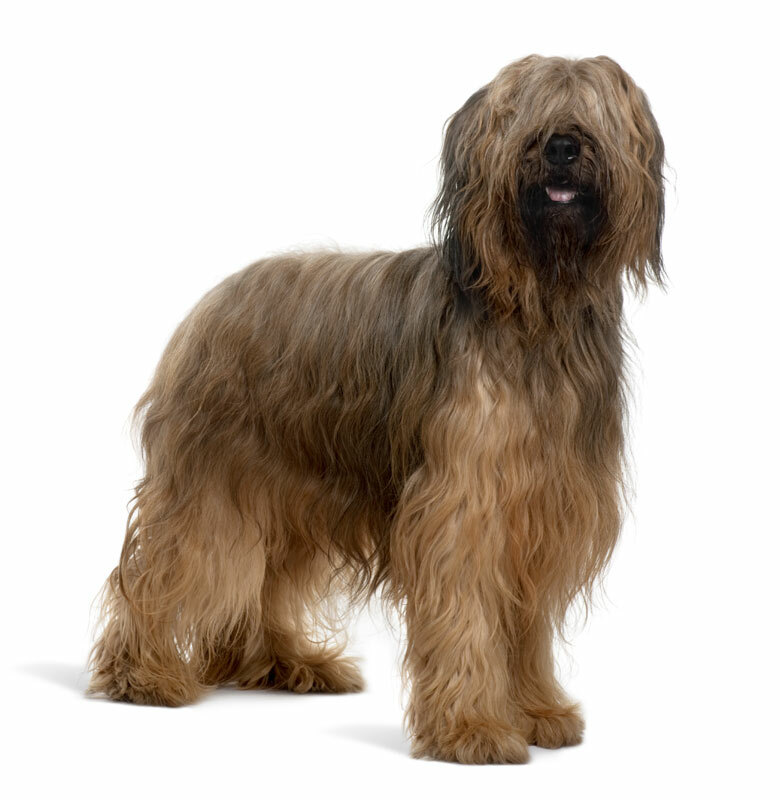 The Briard is a large, stocky and rugged dog, with a long, flowing coat which needs daily attention. His job was to guard and herd sheep and in modern times makes an excellent guard dog. He is fearless without being aggressive and would enjoy the rough and tumble of family life. However he does need training and a firm hand as he doesn’t know his own strength. He needs to live in a large house with a large garden with easy access to the open country side. He should have at least two hours exercise every day. The Briard’s body structure is well balanced but his excessive hair could cause him problems if not very carefully and regularly groomed and cared for. Breed club insists that all dogs used for breeding should be either proven hereditarily clear of CSNB or have a DNA test before breeding. Identified carriers may be used only to clear mates. Offspring must also be DNA tested.